A 10 mil polyester film coated with a super-clear acrylic solvent permanent adhesive. 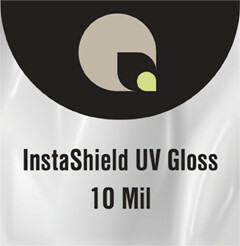 When extra-glossy pop is required for display applications, InstaShield Gloss delivers. It’s the clearest of all laminating films, resulting in enhanced color and reflectivity.